Before I found out about Camera Raw, I used to convert my photos from RAW to TIFF, using the XNVIEW convertor, downloaded from the Internet. My question is whether I lost image quality or anything else. It is obvious that the colors changed, but is this the only problem? However, after finding out about Camera Raw, I downloaded it, but I didn't notice the ''open image'' button at first. For this reason, I saved the RAW file as a TIFF file and then opened it separately in Photoshop CS6. Did I lose any image quality by doing this? Just to clarify: Did I lose any image quality, in terms of compression? The question here really resolves around what you mean by "quality", followed closely by needing to understand what RAW really is and how it relates to other image formats. On the first TIFF is generally not compressed in a lossy way, so artifacts weren't introduced. By that measure, quality isn't degraded in the same way it might be with JPEG (and especially with re-saving JPEG or by using high JPEG compression levels). So, if detail loss from compression is all you are concerned about, no, there is no loss of that sort. But, take a look at What is RAW, technically? and Good examples of RAW's advantages over JPEG?. What you loose is flexibility, since the initial conversion "bakes in" decisions about color balance, contrast curves, and demosaicing, and sharpening. Once those are saved into an image format like TIFF, you can make only a more limited range of adjustments, so in that sense, you have lost something. Depending on the conversion choices you made, this could include loss of shadow or highlight detail, sharpening choices (too much or too little) that you regret later, white balance adjustments, contrast curves, and more. That said, there are two things to keep in mind before panicking. First, the range of adjustments you can make and still get excellent results even on JPEG files is still large, and this is particularly true if you're basically in the ballpark anyway. RAW conversion is not a substitute for getting the shot basically right in camera, and so conversely, getting it close to right in camera makes RAW conversion less important. Still, having the RAW files does give you more flexibility, particularly in color balance — the second link I give above demonstrates this nicely. Also, I will speak about XnView MP (the enhanced version of XnView) which is due to a new release shortly with big enhancements because is the program which I use heavily from several years now, after I upgraded from XnView. Apply what I say to XnView - most of them should work, even if something not as powerful as in his newer and enhanced brother, XnView MP. editing/post-processing power/latitude - mattdm detailed this, I will not talk about it again. streamlined workflow - the TIFF step induces an unnecessary step which you must manage taking your attention away from what you must do. in-place editing - If you're more-or-less satisfied with how you Raw looks like, and you want only 'normal' adjustments (levels, brightness, crop, sharpening etc.) why you don't just do a simple double-click and edit the image in XnView MP? management power over your collection - by exporting them to TIFF you induce quasi-duplication of your files just for the sake of them. You need to take care of these files which will clutter your collection, fill up your storage etc. If you saved your TIFFs with 16bit per color channel, you didn't loose any quality. If you saved them with only 8bit, then yes, you lost color resolution, just as with a high quality JPEG. (the TIFF is losslessly compressed, so you don't loose anything by that, but a JPEG with maximum quality isn't noticeably degraded either). Actually, the image information in RAW files is in TIFF. Many raw file formats, including IIQ (Phase One), 3FR (Hasselblad), DCR, K25, KDC (Kodak), CR2 (Canon), ERF (Epson), MEF (Mamiya), MOS (Leaf), NEF (Nikon), ORF (Olympus), PEF (Pentax), RW2 (Panasonic) and ARW, SRF, SR2 (Sony), are based on the TIFF file format. These files may deviate from the TIFF standard in a number of ways, including the use of a non-standard file header, the inclusion of additional image tags and the encryption of some of the tagged data. Essentially, a RAW file is TIFF image data with added (sometimes proprietary) metadata. The ISO TIFF/EP standard is a standard way to add metadata to TIFF, but most manufacturers use EXIF instead for that task. So, no, saving the file to TIFF--assuming the conversion knows how to unwrap your RAW file headers and metadata from the image data properly, and you're matching the bit depth and don't add lossy compression (which TIFF can do, although rarely), won't affect the image quality--but it will probably lose metadata, such as your white balance setting. If you haven't processed the RAW first, you aren't "baking in" a white balance setting, you're simply losing it. Not the answer you're looking for? Browse other questions tagged raw image-quality file-format image-compression tiff or ask your own question. Why do RAW images look worse than JPEGs in editing programs? 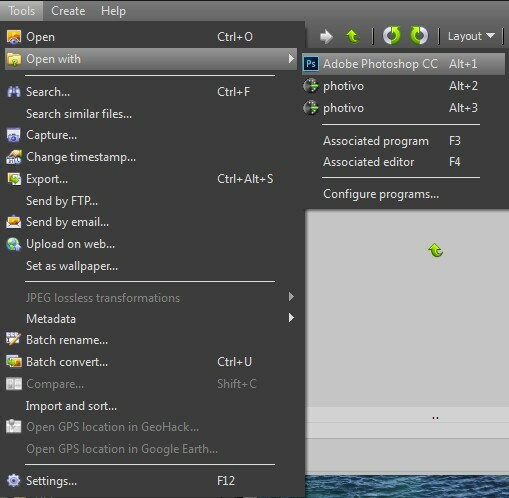 Converting RAW images to lossless jpeg using GIMP? What is the real world impact of the lossy compression used for NEF RAW files in some Nikon cameras? Will transfering a TIFF to a photolab via ROES software cause it to lose quality? Why doesn't PNG show more detail than JPEG in a converted NASA image? How and why does VueScan's TIFF and DNG output differ?